Fieldwork for the Egypt survey was implemented between July 8 and August 5, 2011 by the Egyptian Research and Training Center (ERTC), a Cairo-based research organization. The survey is nationally representative of Egypt’s adult population: the sample size is 2,297; includes 1,188 men and 1,109 women. All respondents are aged 18 and above. 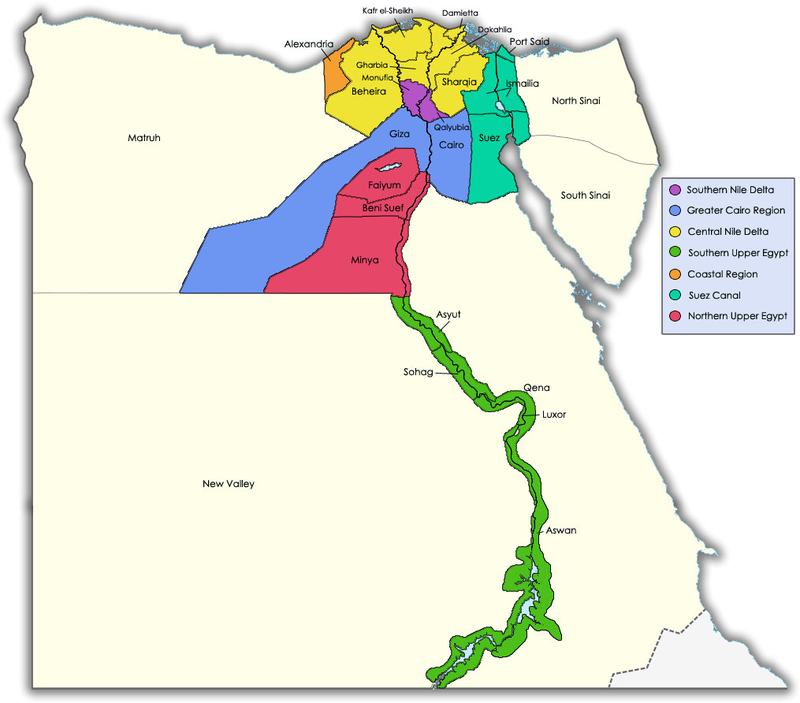 The sample represents all of Egypt’s governorates excluding the five (5) remote governorates of South Sinai, Northern Sinai, Marsa Matrouh, Red Sea and the New Valley (which represent 1.8% of the Egyptian population). As such, the sampling frame covered 98% of Egypt’s population. See map for regions covered in the survey. A total of 200 Primary Sampling Units were selected from the 24 governorates using the probability proportionate to size (PPS) selection method. A weight factor was introduced to bring the realized sample in line with the desired sample to adjust for minor discrepancies for observed age proportions. The margin of error is ± 2.04%.